Simply White and Totally Out of My Comfort Zone. Hello friends! 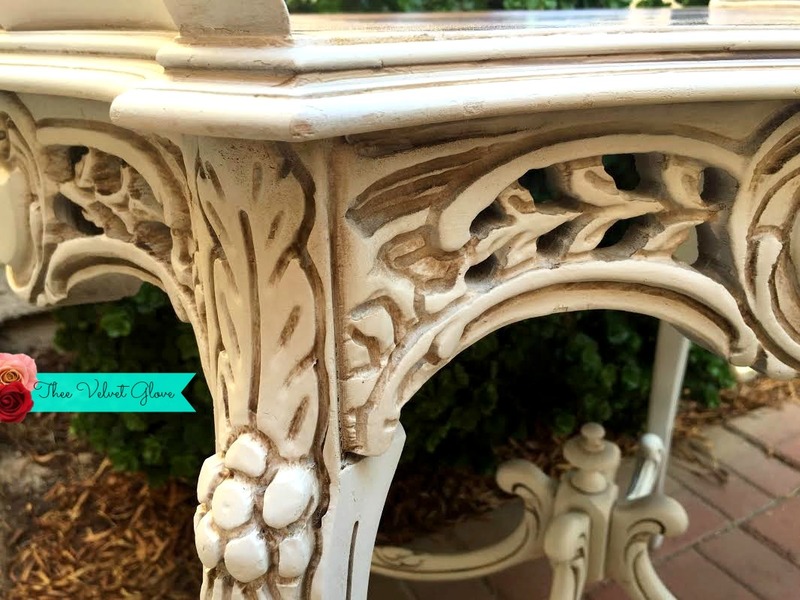 I can count on one hand how many times I’ve painted a piece of furniture white. I think I’ve done two besides this one, and those two weren’t all white and probably don’t even count. I normally use lots of color and prints, bold stripes, leopard, floral, blues, pinks, red, orange, greens, polka dots, purples, gold and so forth. So many people are afraid of color, but me? I get nervous to do white. Kinda strange, because that’s what is incredibly popular with so many people, including me, loving the farmhouse look. I get quite a few messages and emails from people afraid to use color because they consider white “safe”. So this is me coming out of my comfort zone of color. 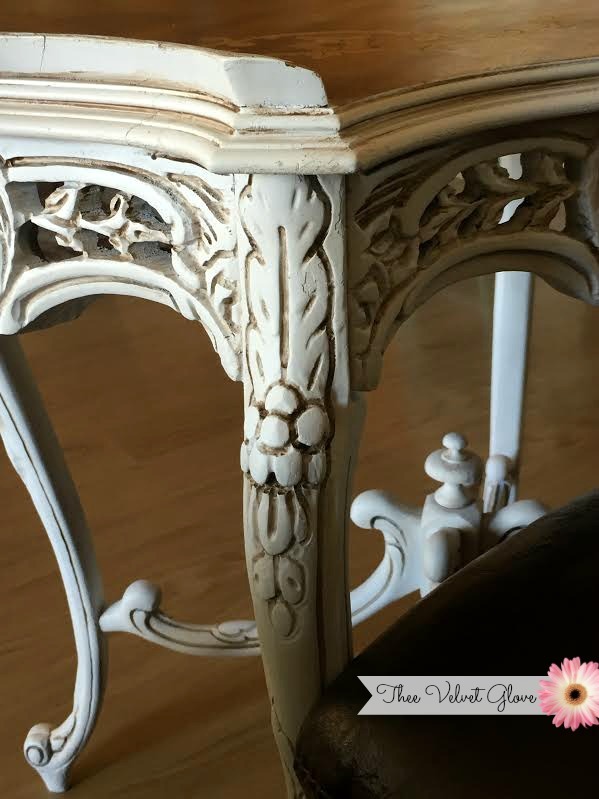 A classic white finish using Chantilly Chalk Type Paint, a classic, bright white chalk type paint by Vintiques coupled with Antiqued Brown Spray Wax used as a glaze on a table with gorgeous carvings and tons of curves just begging for glaze down in those nooks and crannies. I sealed it with Vintiques Satin Top Coat. This table brings a lot on its own but I believe the white does soooo much for it and I’ve gotta admit I love the simplicity and classic look of it. Taped off to preserve that gorgeous top. 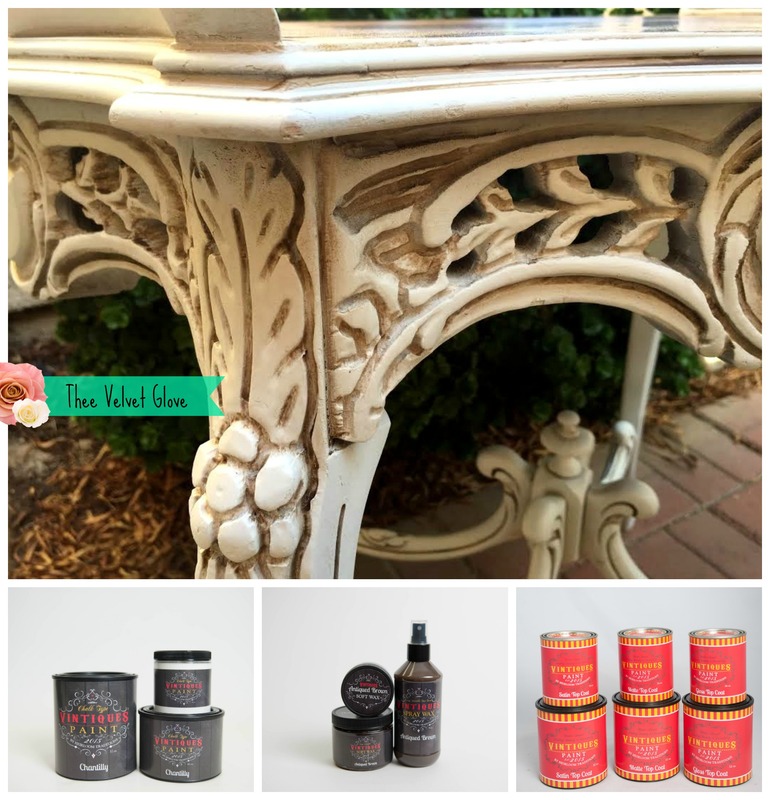 This entry was posted in Before and After, End Table, Entry Way Table, Heirloom Traditions Chalk Type Paint, Uncategorized and tagged before and after, distressed, furniture, glazed, Heirloom Traditions, heirloom traditions chalk type paint, painted, painted furniture, table by theevelvetglove. Bookmark the permalink. 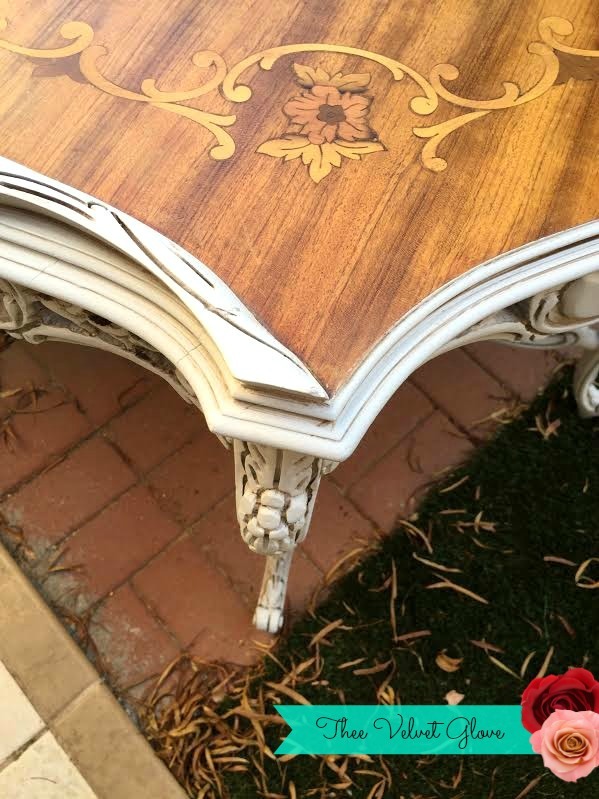 You truly did justice to this sweet table, Lori. I’m usually more excited by colorful pieces, but THIS? Perfection!